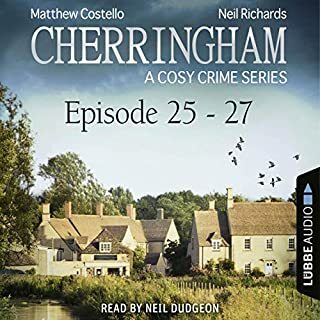 When Hetheridge saves the outspoken, impetuous young detective from getting the sack, siding with her against Scotland Yard's powerful male hierarchy, his cold, elegantly balanced world spins out of control. 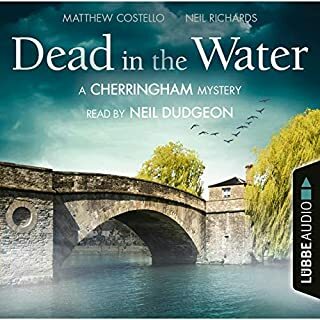 Summoned to London's fashionable Belgravia to investigate the brutal murder of a financier, Hetheridge must catch the killer while coping with his growing attraction to Kate, the reappearance of an old flame, and the secret that emerges from his own past. 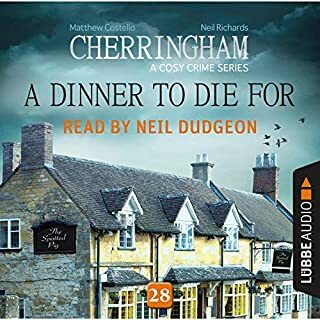 Having picked up a commendation from Sussex Police, Lord Harrington and his wife, Beth, are given a curious task by DCI George Lane - to observe Theodore Livingstone, Member of Parliament, who has a second home in Cavendish. James and Beth discover that Theodore is not to be crossed and that his son, Maximillian, is the editor of a salacious gossip magazine. Both are boorish men, driven by money and power. 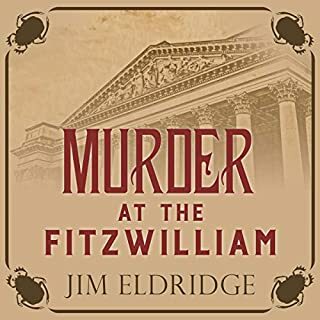 And when a body is discovered, with links to the Livingstone family, James puts his sleuthing skills to the test. 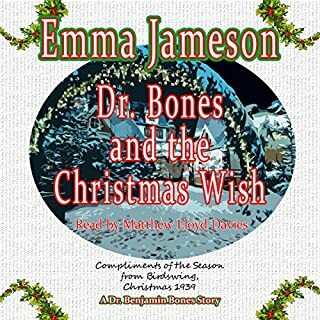 A few days before Christmas 1939, Dr. Benjamin Bones is in a "Bah, humbug" sort of mood. It's the coldest winter on record, his country is at war, and his love life has run aground. But magic as well as mysteries abound in Cornwall. 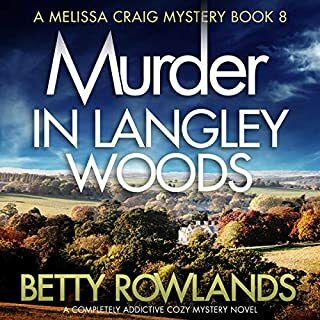 When Ben makes a bargain with an elfin little man, it leads him to an old woman who longs to make amends - and a chance for Ben to show that certain someone how much he cares. When a strange child follows her home on the train from London, Ella Bridges feels bound to help her. However, she soon discovers the child is not what she seems. 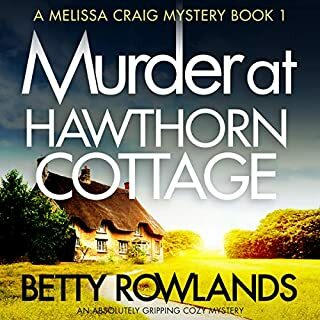 Having recently moved into a large home on Linhay Island, Ella finds herself at the centre of a murder investigation thanks to a special gift from the previous house owner. Along with her unusual sidekick, a former cottage resident, Ella follows clues that take her to the heart of London. As the mystery unravels she is forced to enter the lion's den to solve the crime and stop the perpetrator. 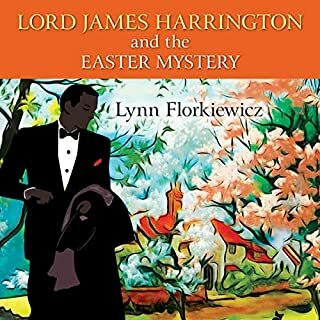 The Cavendish residents are discussing the traditional Easter festivities and egg hunt on the Harrington estate when the vicar’s dog digs up a bone. Retracing the dog’s walk, James uncovers a skeleton buried in the woods. Studying the remains, he identifies a number of expensive items. With the likelihood that the victim could be someone well to do, James puts his sleuthing hat on. But a chance conversation turns the whole enquiry on its head. 1957. 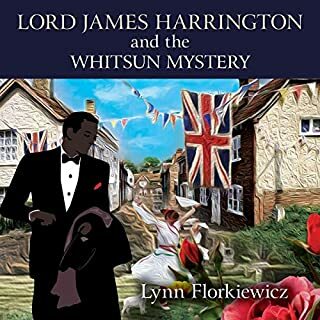 Lord James Harrington and his wife, Beth, run a country hotel in the village of Cavendish, deep in the heart of West Sussex. James and Beth are discussing the latest Cavendish Players production, The Devil Incarnate, when their cleaner informs them that farmer Alec Grimes is missing. On the eve of World War II, Dr. Benjamin Bones is at war with himself. While most young men are being sent away to fight the Germans, Ben is chosen to serve on English soil. Ordered to move to wild, beautiful Cornwall, he must trade his posh London office and stylish city life for the tiny village of Birdswing, which has a population of 1,221 souls. But leaving his home and shelving his career ambitions aren't the only sacrifices he faces. 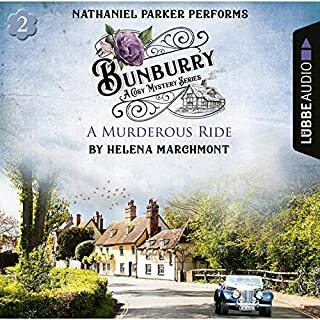 His unfaithful wife, Penny, is accompanying him to Cornwall in a last-ditch effort to save their marriage. But moments after their arrival, Penny is run down in the street, and Ben is almost fatally injured. 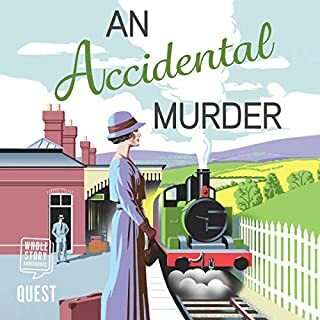 And while the villagers assume Penny's death to be an accident, Ben quickly deduces it was murder. As he convalesces in Fenton House, which the locals call haunted, Ben meets Birdswing's eccentric inhabitants. Mr. Gaston, the volunteer air warden who's obsessed with defending his remote village against Nazi spies; Mrs. Cobblepot, a thoroughly practical housekeeper who believes in fairies; and Lady Juliet Linton, a prickly, headstrong aristocrat who won't take no for an answer. 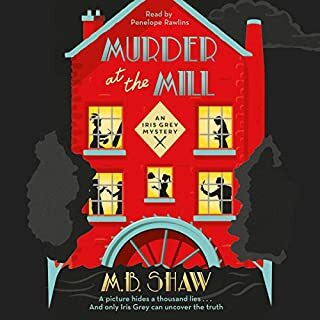 While adapting to life during Britain's "War at Home," a time of ration books, victory gardens, bomb shelters, and the Blackout, Ben sets about solving the mystery of Penny's murder - with a little help from Lady Juliet and the Fenton House ghost. 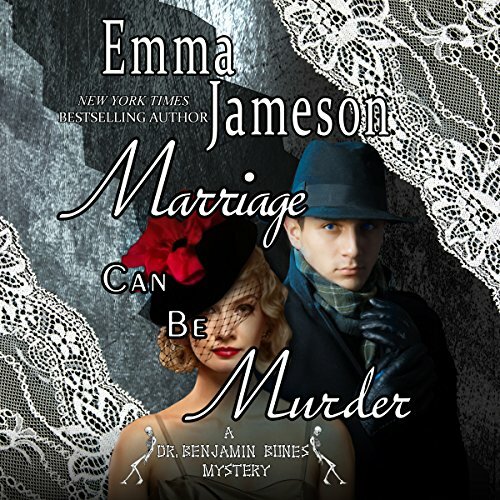 Marriage Can Be Murder is the new cozy mystery series from New York Times and USA Today best-selling author Emma Jameson. I had mixed feelings while listening to this book. The plot was interesting but not complex. I had the who and why figured out long before the end. Lady Juliet is fun, if a bit obsessive about her looks and personality. She is an individual with a distinct persona. Dr. Bones, our supposed hero, on the other hand, is bland and one-dimensional. His lack of interest in his wife's death is odd. He never asks about the funeral or how her family reacted. Even the secondary characters are more interesting. I don't think the author was able to get in touch with her "male" side and Bones suffers for it. Of course the narrator's laconic, at time dismissive, reading of Bones doesn't help. I doubt I will revisit the series. The book really had the flavor of Agatha Christie. I enjoyed the campy supernatural element. The author did a good job painting the historical setting that the story takes place in--early WWII. I was intrigued by Dr. Bones' story and I look forward to learning more about other characters in the book as well. I also really enjoy this narrator. That comes down to personal preference as I know some others did not. 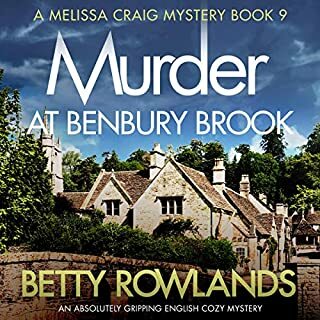 Fun British cozy... I'm looking forward to the next in the series! I could not bear to listen to more than a few minutes of this book. The narrator's voice annoyed me. He alternated between practically whispering to speaking so loud that I almost turned the volume down. 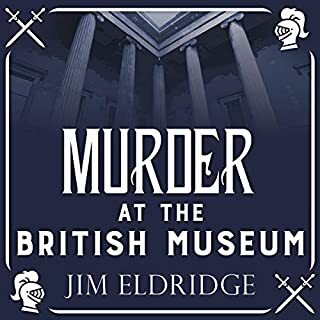 I encourage those who might have an interest in this book to listen to the audio clip before buying. I DO have a hearing impairment, so that may have something to do with it. But I've listened to many audio books and have never encountered this situation. This started with potential and dropped like a bomb. The reviews were divided, so I thought to give it a try. It had a good start. Ben is a widower his first night in his wife’s hometown. Penny, his wife, was from Birdswing where, as the cliché says, everyone knows everyone's name. Birdswing is, the on the Cornwall coast in pre-WWII England. Ben, is moody; he can’t walk, he is stuck in a dark second-floor bedroom, and he feels more grateful than guilty about his wife’s death. He and Penny got married quickly and did not know each other. This trip to her hometown was an opportunity for them to reconnect. Ben was ready to divorce, but the shame made the act less desirable. His services were needed, and he is taken to the town’s wealthy matriarch. This seems to be a good opportunity. There is no doctor between this town and the neighboring one. He is a male over 16 and under 65 and a doctor. They even set him up in a house/office, staff, and equipment. The equipment was antiquated, but it just demonstrated the effort the town went through. With all the warm welcome, yet someone killed his wife and no one wants to speak ill of the dead. This gets him motivated to solve his wife’s murder. The town is rich with quirky and charming characters which make it entertaining to read. The story is set in WWII. After each introduction, there was the question of did they do it. With 4 hours left in the book, the plot drops and things start to drag. I was disappointed. I should have gone with the other reviews. Oh well. Gladly this story was not all about the crime. It was filled with peripheral characters with their own stories. Also, it made me laugh! I listened (seriously, repeatedly re-winding and trying to stay with the story) over three or four evenings. But then, with only the last chapters remaining, I simply gave up. 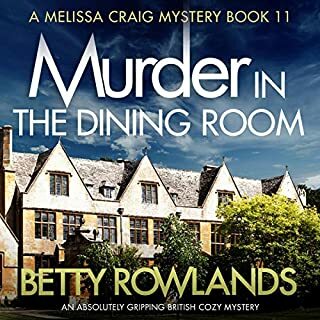 I had kept telling myself that this book had all the elements of the kind of British mysteries I typically love. (In theory, it did.) Think I ultimately got turned off by the suggestions of the supernatural, but that was only after realizing that believing I "should" find a story interesting was not good enough reason to keep making myself listen to it. To me, it simply was just boring. Good narrator, though. GOOD. ENJOYABLE AND INTERESTING VILLAGE LIFE. I like this first series in the Dr. Benjamin Bones mysteries. 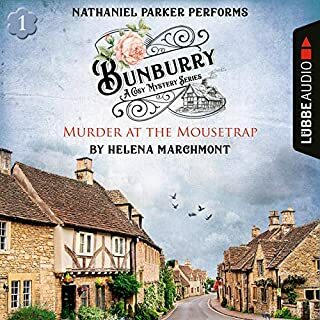 Well written and the narrator, Matthew Lloyd Davies performed the different characters. His female voices were alright easily disquintable. 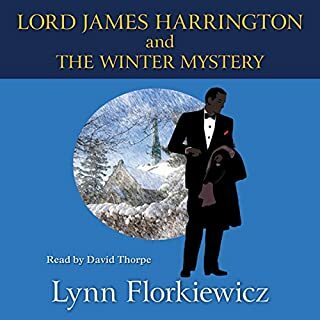 The mystery was quite good and I did not known who the murderer until almost the end. Very good start to a new series, glad I did not listen to the bad reviews. Really enjoyed this book and the one that follows. Set in an interesting time period (in the lead up to WWII) and with really interesting characters. 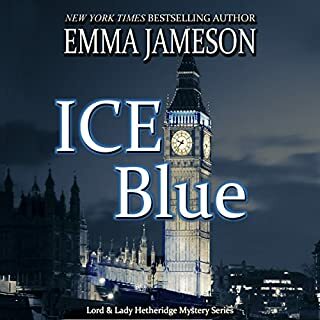 I've read other series by Emma Jameson, but I think this is my favorite. Wish that there were more books in this series. Suspense and hilarity all together! Emma brings out the particular nuances of each characters personality with great care and detail! Lady Juliet being my favorite. This is an excellent and very creative mystery. I highly recommend it for those who like period stories and those with a comic twist. I look forward to the next in the series.